Delhi based Indian Super League franchise, the Delhi Dynamos have chosen Sri Lanka born Bollywood starlet, Jaqueline Fernandez to be the face of the club, ahead of the upcoming ISL season. The Dynamos have notched up their glamour degree by naming the Housefull-3 star as the club's brand ambassador. The actress has made an eminent name for herself in the Indian film industry and the Delhi Dynamos are optimistic that Fernandez will be of big help for the club in terms of promotions and increasing their fan base and embracing and engaging with the ‘Lions’ across the nation. “With Jacqueline coming on board, Delhi Dynamos will become the first Indian Football Club to have a female brand ambassador that has a wide international audience. This goes in line with the club’s vision to be not only a club of India, but a club with international ambitions.” Delhi Dynamos Director Rohan Sharma said. “I am really excited and looking forward to interacting with the fans in Delhi. Delhi Dynamos is a team that has been consistent in their performances over the years and hopefully this time we can win the ISL together. The club and I share the same view, i.e to help promote the sport and engage more female audience into watching and playing the game, and hopefully together we can bring a change.” Jacqueline Fernandez said. Earlier, the two-time ISL semi-finalists’ team director, Rohan Sharma also disclosed that the team from the capital would rely upon the Indian footballers over foreign marquee players for the approaching season. 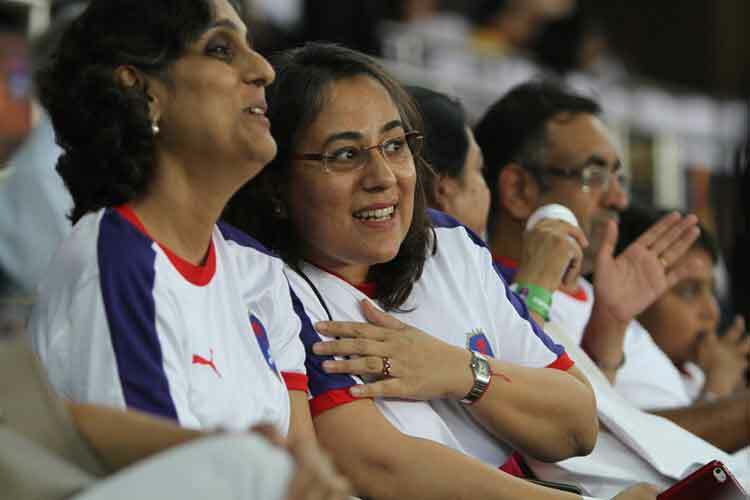 Having featured hot shot names like, former Chelsea star and Champions League winner Florent Malouda, Juventus veteran Alessandro Del Piero, Spaniard Toni Doblas beside others, the Dynamos had attracted a certain fan base which filled up the seats of the Jawaharlal Nehru Stadium in New Delhi for all their home fixtures. As noble as the idea of banking on Indian talent may sound, will it be good enough? How do the Dynamos plan to match up to the kind of standards that they had set over the previous seasons? We feel this is a risk the Dynamos have taken and that they need to create a balance of the two — Indian and International players, in order to make a mark in the bigger picture.